The Northern Andean copper-gold province occupies an interval of ~2500 km from far northwestern Peru, through Ecuador, Colombia and Panama to eastern Costa Rica in Central America, and largely corresponds to the area in which: i). an allochthonous, largely intra-oceanic arc was accreted to the western margin of the complex Proterozoic and Archaean shield of South America during the Lower Palaeozoic; and ii). a complex of allochthonous Cretaceous oceanic plateau terranes accreted onto the northwest margin of South America, connecting it to the southern tip of North America, during the Oligocene to Miocene. This record provides an overview of the entire province, with details of the extent of mineralisation in Colombia and links to separate descriptions of the individual deposits. It also details the geology and key mineral deposits of the neighbouring Caribbean Plate to illustrate the relationship between the two regions and the broader regional setting. A separate record outlines the more specific setting and geology, and the Cu-Au deposits of the Northern Andes in Ecuador. To the south the Northern Andes terminate at the 'Huancabamba Deflection' to become the Peruvian Andes. According to Cediel et al. (2003) the Northern Andes differs substantially from the Central Andes in a number of aspects, including the nature and age of underlying basement and continental margin, the nature and evolution of stress field regimes during uplift, the nature and age of subducting/accreted oceanic crust, and the timing and style of deformation and magmatism. GUIANA SHIELD - which represents the cratonic core of the broader northern section of the Brazilian Shield to the north of the Amazon Basin. It is composed of a core of Meso to Neoarchaean rocks in northeastern Brazil that formed the nucleus for progressive westward continental growth of northwestern South America from the Palaeo- to early Neoproterozoic (2.25 to 0.95 Ga). Outcrops of 1300 to 900 Ma granulite reflect continental collision, penetrative deformation, and high-grade metamorphism during the 'Grenville equivalent' Orinoco orogeny. This is interpreted to have resulted from the collision at ~1200 Ma of the North American continental block with the Guiana Shield of the continental South American plate (Kroonenberg, 1984; Hoffman, 1991 and Hartnady, 1991). The elongate, ~400 km long Garzón massif is found within the Guiana Shield at the boundary with the younger Central Continental Sub-plate. It comprises a structurally exhumed ~1200 Ma granulite belt produced during the Orinoco orogeny, and indicates the approximate western margin of the Guiana Shield. MARACAIBO SUB-PLATE - a composite of numerous lithotectonic provinces, representing the tectonically displaced northwestern-most portion of the Guiana Shield, overlain by extensive Phanerozoic supracrustal sequences. Although part of the Guiana Shield, it is distinguished by its style of deformation, resulting from the evolving Mesozoic-Cenozoic to Recent interaction between the Pacific (Nazca) and Caribbean oceanic, and the continental South American plates. It abuts the northeastern margin of the Central Continental Sub-plate to the SW, and the Guajira-Falcon terrane to the north, bounded by the sinistral Bucaramanga-Santa Marta and dextral Oca-El Pilar fault systems respectively, which converge and intersect to the NW. The former is the reactivated northern segment of the palaeosuture between the Proterozoic Chicamocha terrane of the Central Continental Sub-plate and the Guiana Shield, while the latter has defined the northern margin of the South American plate since the Late Triassic. To the north, the Bucaramanga-Santa Marta fault system is terminated at the intersection of the Oca-El Pilar fault system, where a series of lateral ramps stack a complex of tectonic slices along the apex of the Santa Marta thrust front. Migration of the Maracaibo Sub-plate took place in three episodes: i). Reactivation of the Bucaramanga and Oca-El Pilar fault systems and mid-crustal detachment of the sub-plate during the late Cretaceous, with northwestward migration along these and a suite of intervening strike-slip and thrust fault systems, resulting in uplift of a massif in the NW due to imbrication, and the establishment of shallow marine sedimentation to the SE (Zambrano et al., 1969); ii). Enhanced transpressional buckling along the Bucaramanga and Oca-El Pilar systems during the Paleocene and rapid uplift of the Guajira-Falcon terrane between the Maracaibo Sub-plate and the Caribbean plate margin. This transpressional uplift resulted in the development of an Eocene foreland basin along the northern margin of the Maracaibo Sub-plate (Lugo and Mann, 1995) and the obduction of the Caribbean Mountain terrane oceanic crust domain onto the Maracaibo Sub-plate further to the east; iii). Detachment and uplift over NW vergent thrusts of three generally NE-SW trending ranges between the base and the constricted apex of the sub-plate to the SE and NW respectively, predominantly during the Miocene to Holocene when continental and/or marine basins developed along the foreland margins of these ranges (Zambrano et al., 1969; Shagam, 1972). i). Chicamocha Terrane - (or Chibcha terrane, e.g., Ramos 2008) the oldest domain is the eastern exotic Proterozoic Chicamocha terrane, an allochthonous possible relict of the North American Plate, welded to the Guiana Shield during the late Mesoproterozoic Orinoco orogeny (~1300 to 900 Ma), but now largely masked by younger, Lower to Mid-Palaeozoic and Triassic to Tertiary sedimentary rocks of the Eastern Cordillera and Magdalena Basin. It is represented by fragmented granulite grade bodies of migmatite and quartz-feldspar gneiss, mostly outcropping along the eastern margin of Colombia's Central Cordillera, wedging out to the south near the Colombia-Ecuador border. Cediel et al. (2003) suggest this palaeo-allochthonous wedge may be considered analogous to the Arequipa terrane exposed in southern coastal Perú (Dalmayrac et al., 1977). ii). Cajamarca-Valdivia Terrane - composed of Palaeozoic domains that are related to a Middle Ordovician to Silurian Cordilleran-type orogeny, and form the western segment of the Central Continental Sub-plate. These domains are composed of an association of greenschist to lower amphibolite metamorphic facies pelitic and graphite-bearing schists, amphibolites, intrusive rocks, and rocks of ophiolitic origin (olivine gabbro, pyroxenite, chromitite, and serpentinite). Geochemical analyses indicate these rocks have an intra-oceanic arc and continental-margin affinity (Restrepo-Pace, 1992), suggesting the collision and docking of an intra-oceanic magmatic arc. They form an allochthonous to predominantly parautochthonous accretionary prism of Ordovician to Silurian age, sutured to the Chicamocha terrane in the north and directly to the Guiana Shield in the south, where they are known as the Loja Terrane in Ecuador (Litherland et al., 1994). This terrane is part of the Terra Australis Orogen, which developed along the Pacific/Iapetas margin of Gondwana, and extended over a continuous pre-dispersal length of ~18 000 km and up to 1600 km width, from eastern Australia and New Zealand, the periphery of Antarctica, and along the entire western fringe of what is now the South American plate. The amphibolite-grade rocks of the Cajamarca-Valdivia-Loja terrane have been intruded by synkinematic granitoids, which are garnet-bearing, two-mica intrusives with peraluminous (approximately S-type) petrochemistry. They range from weakly to intensely deformed (migmatite, augen gneiss and mylonite) and are ubiquitously metamorphosed to some degree. Dating attempts in both Colombia and Ecuador have returned similar broadly Triassic K-Ar ages, which may represent resetting (Cediel et al., 2003; Litherland et al., 1994). Cediel et al. (2003) suggest these granitoids represent anatexis of lower crustal material generated by tectonic thickening of the Lower to Middle Palaeozoic continental margin during docking of the arc, and were probably emplaced during the Palaeozoic. The Lower Palaeozoic rocks of the Cajamarca-Valdivia-Loja Terrane were deposited in a compressional regime during the assembly of Pangaea, but were followed by a period of prolonged rifting, which began in the Lower Carboniferous and continued to the middle Mesozoic. The series of Palaeozoic to Mesozoic episodes that affected the Central Continental Sub-plate are collectively referred to as the 'Pre-Andean Orogenic Events', divided into the compressional 'Middle Ordovician to Silurian Cordilleran-type Orogeny', represented by the collisional event detailed above, and the extensional Carboniferous to mid-Mesozoic 'Bolivar Aulacogen' described below (Cediel et al., 2003). The latter extensional regime was briefly interrupted by a transpressive pulse in the Late Permian. iii). Bolivar Aulacogen and Late Triassic to Late Jurassic Magmatism - Following the Late Permian transpressive pulse, rifting resumed during the Triassic (Senff, 1995), accompanied by voluminous granitoid intrusion, centred on the suture that defines the eastern margin of the composite Cajamarca-Valdivia-Loja terranes, with the Chicamocha Terrane in Colombia, and with the Guiana Shield to the south in Ecuador (where the Chicamocha Terrane pinched out and is absent). Rifting persisted as regionally localised basins until the Late Jurassic, when widespread extension is marked by deposition of continental and volcaniclastic deposits (e.g., Cediel and Cáceres, 2000), culminating in the Early to Middle Cretaceous, with the emplacement of bimodal alkalic-tholeiitic mafic magmatism (Fabre and Delaloye,1983). Triassic to Jurassic Magmatic Arc - The suture between the Chicamocha and Cajamarca-Valdivia domains in Colombia is occupied by a discontinuous belt, up to 1800 km long and 75 km wide, of Triassic to Jurassic (~235 to ~160 Ma) rocks, which include the San Lucas and Ibagué blocks, that are dominated by composite metaluminous (I-type), calc-alkaline, dioritic to granodioritic batholiths and associated volcanic rocks, intruding and overlying a modified continental basement of the two bounding terranes. These blocks of intrusions formed thermal axes and basement rises during the early to mid-Mesozoic. In the south, in Ecuador, the equivalent Jurassic Salado and Misahualli volcanic and metasedimentary rocks, and metaluminous granitic and dioritic to granitic Jurassic Abitagua (~162 Ma), Zamora (~190 to 150 Ma) and Azafrán Batholiths (143 Ma; Noble, et al., 1997) overlie and intrude the interpreted extension of the same suture separating the Loja terrane and the Guiana Shield in the Cordillera Real (Litherland et al., 1994). Similar aged plutons are also located within the western margin of the Maracaibo Sub-plate, to the east of, and along the Bucaramanga-Santa Marta fault system (Cediel et al., 2003). Petrochemical modelling of selected examples of these Triassic-Jurassic intrusives, inconclusively indicated that they may represent (modified) continental arc magmatism (Alvarez, 1983), whilst trace element analyses by Dörr et al. (1995) were interpreted to represent a transitional island arc to continental arc geochemistry. Analyses reported by Romeuf et al. (1995) indicated lavas of the Misahualli Volcanic Complex in Ecuador have a high-K calc-alkaline affinity. Villares et al. (2014) showed that the Misahualli volcanic and metasedimentary rocks comprise a continuous suite from basalts to rhyolites with significant intercalated continental volcano-sedimentary and sedimentary rocks, including fluvial conglomerates and sandstone. Their analyses of these rocks indicated that while most of the volcanic suite have a high-K calc-alkaline chemistry, some basalts low in the sequence have a tholeiitic affinity, corresponding to N-MORB, probably representing an early stage in opening of a regional Triassic rift. The composite Zamora Batholith, which intrudes much of the Misahualli Volcanic Complex, also has a high-K calc-alkaline affinity (Villares et al., 2014). Cediel et al. (2003) interpreted this magmatism to have been emplaced in an extensional setting as a modified, continental-margin magmatic arc. Rifting continued from the Middle Jurassic to Middle Cretaceous, culminated in the opening of the Valle Alto rift and invasion of a Cretaceous seaway from the NW. This was accompanied by the deposition of thick sequences of predominantly Early Cretaceous transgressive marine and lesser Cenozoic continental strata over the Chicamocha terrane and along the continental margin of northwestern South America, including the Maracaibo subplate, and the continental platform of the Guiana Shield (Cooper et al., 1995). b). during the Middle Jurassic to Middle Cretaceous crustal rifting accompanying the break-up of Pangea, which took place in two pulses. The first pulse involved the opening of the North Atlantic Ocean and Caribbean Sea at ~160 Ma in the Middle to Upper Jurassic. North America was rifted from the combined South America and Africa, to connect the Pacific Ocean with the Tethys Ocean that separated Africa and Europe. The edge of the rifted northwestern margin of South America was the western margin of the Cajamarca-Valdivia-Loja terrane, and the northern margin of the Maracaibo Sub-plate. Prior to break-up, a series of narrow microcontinents had been juxtaposed against the Cajamarca-Valdivia-Loja terrane to as far south as the current Ecuador-Peru border. These microcontinents were displaced to the north during the break-up and are now amalgamated into the Mexican section of North America. The break-up involved both a dextral transverse NNE-SSW component and a NW-SE vector as the North America terranes were transported to the NNW relative to the NNE-SSW continental margin. The second break-up pulse was after 100 Ma in the mid to late Cretaceous, in response to the opening of the South Atlantic Ocean, as Africa and South America separated, Europe and Africa collided, and the two Atlantic Oceans were connected. At the same time, South America moved west, and the Farallon Plate that floored the Pacific Ocean, was subducted below South America and the regime was dominantly compressive. Tectonic interpretation - The Palaeozoic and early to mid Mesozoic tectonic history of the northern Andes would be consistent with the formation of the Cajamarca-Valdivia terrane as an intra-oceanic arc complex to the west of, converging towards and then colliding with the Chicamocha terrane during the Lower Palaeozoic. Following collision and docking, although the regime remained compressive through the mid Palaeozoic, subduction and compression intensified as part of the amalgamation of Pangea during the Devonian, resulting in increased uplift above the subduction zone. By the Carboniferous, extension dominated, leading to post-collision slab detachment, which, in conjunction with the incipient extension preceding the breakup of Pangea, triggered delamination of the sub-continental (sub-crustal) lithospheric mantle (SCLM). The SCLM had been deformed, thickened and thermally metamorphosed from mafic granulite to denser eclogite, in its lower sections during the earlier compressional/isostatic thickening. Delamination and subsequent detachment of the denser SCLM resulted in rapid uplift of the lighter overlying continental crust and exhumation of deep, strongly metamorphosed lower crust similar to the facies exposed in the Cajamarca-Valdivia terrane. The detachment and uplift was also accompanied by the upwelling and decompression re-melting of earlier subduction-metasomatised and 'fertilised' asthenosphere flowing into the volume evacuated by the sinking detached SCLM (e.g., Lustrino, 2005; Meissner and Mooney, 1998; Kay and Mahlburg Kay, 1993; Bird, 1979). Translithospheric extensional structures provided channelways for the rapid ascent of voluminous mantle-derived magmas from below the Moho to upper crustal levels (e.g., Richards et al., 1990). These processes may lead to the development of porphyry and epithermal mineralised systems within post-subduction extensional settings during the Mesozoic to form the Jurassic deposits of Ecuador and southern Colombia, including Mirador and Fruta del Norte (e.g., Richards, 2009). iv). Northern Andean Orogen - Regional extension was terminated in the Middle Cretaceous, with the shift of tectonic regime to compression, followed by a transition to a transpressional regime, with collision and magmatism during the Late Mesozoic to Cenozoic, known as the 'Northern Andean Orogeny', which is responsible for the present character of the Central Continental Sub-plate. A zone of major brittle faulting took place between the latest Cretaceous (Maastrichtian) and Middle Eocene, further segmenting the Central Continental Sub-plate, mainly the Cajamarca-Valdivia-Loja terrane. This narrow brittle fault zone accommodated ~250 to 300 km of dextral slip, and succeeded a period of ductile shearing on the Romeral-Peltetec-Huancabamba fault zone forming the western margin of the Central Continental Sub-plate, separating it from the Western Tectonic Realm (see below). This faulting diverged from the Romeral-Peltetec-Huancabamba fault zone to the north as the Palestina Fault, to cut across the Cajamarca-Valdivia domain to its eastern margin with the Maracaibo Sub-plate. To the south, it swings SW via the Gulf of Guayaquil to connect with the current Peru Trench (Kennan and Pindell, 2009). Rocks to the west of this brittle structure are more heavily sheared and metamorphosed than those to its east, with grades typically of amphibolite and greenschist facies respectively. Rocks to the west are generally present as narrower, less continous, sheared slivers compared to the same units to the east (Kennan and Pindell, 2009) and also include sheared Triassic granitoid (e.g., the 227 Ma Tres Lagunas granitoid; Noble et al., 1997), sheared Palaeozoic sedimentary rocks and schists, and Middle Jurassic and possibly Upper Jurassic metavolcanic rocks. Blocks containing some possible Precambrian basement (Amotape Massif/Arch) is found to the west of this structure to the south in southern Ecuador and northern Peru, but nowhere else. Similarly, in northern Colombia, the only internal blocks of (intrusive?) ultramafic rocks, which elsewhere always lie west of the brittle structure, were emplaced prior to intrusion of the Antioquia Batholith granitoids at 95 to 88 Ma (U-Pb zircon, Villagómez et al., 2008). Following the Late Eocene, most brittle faulting related to this structural zone through Ecuador was linked to the Chile-Peru trench by a SW branch via the Gulf of Guayaquil, and related faults in far northwestern Peru became inactive (Kennan and Pindell, 2009). Incipient inversion of the Mesozoic and Cenozoic rift basins over the Central Continental Sub-plate was initiated during the Paleogene (Sarmiento, 2002), accelerating in the Late Miocene to Pliocene as the Panama Microplate collided with the South America Plate. Sarmiento (2002) has shown through gravity and geophysical modelling, that the Central Continental Sub-plate, in Colombia, corresponds to an increased depth to the Moho of greater than 40 to 45 km, compared to depths of <35 km in the Guiana Shield and neighbouring oceanic crust floored terranes to the northwest. WESTERN TECTONIC REALM - which according to Cediel et al. 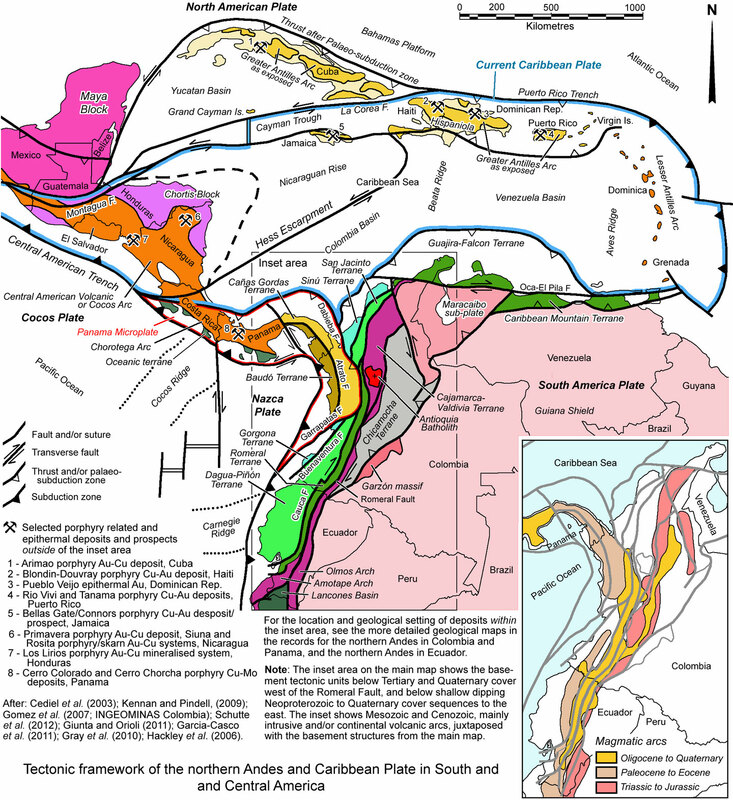 (2003), is composed of three composite terrane assemblages, two to the west of the Central Continental Sub-plate, and a third displaced along the northern Caribbean coastline. It is overthrust from the southwest by the Panama Microplate, as discussed below. Cediel et al. (2003) includes the Chocó Arc within this Western Tectonic Realm, although it is more appropriately regarded as part of the Panama Microplate, and will be discussed under the appropriate heading below. According to Cediel et al. (2003), all of the lithotectonic units of the Western Tectonic Realm are developed within and/or on oceanic basement, and are demonstrated by palaeomagnetic data and paleogeographic reconstructions (Estrada, 1995; Cediel et al., 1994; Litherland et al., 1994), to be allochthonous with respect to the South American continent. All contain fragments of oceanic plateaux, aseismic ridges, intraoceanic island arcs, and/or ophiolites. Most of these terranes have been related to the collision and accretion of largely 'unsubductable' oceanic plateau material as tectonic slices along the proto-Andean subduction zone, that are now preserved in the Central and Western Cordillera, and the coastal regions of northwestern South America. These terranes have been interpreted to represent slivers from the southeastern section of the Caribbean Large Igneous Province (CLIP) oceanic plateau that were detached from the main Caribbean Plate and collided with the South American Plate, rather than passing to the north to floor the Caribbean Sea. These rocks are affected by large scale folds, thrust, and dextral faults developed during the oblique convergence between the Caribbean Plate and the northwestern margin of South America. They were accreted by the progressive docking of discrete slivers from the end of the Cretaceous into the Cenozoic (Cediel et al., 2003; Kennan and Pindell, 2009; Pindell et al., 2006). However, Kerr and Tarney (2005) suggest these terranes belong to two separate oceanic plateaux, the second being the Gorgona Plateau, that collided with South American at a later date. The same authors point to differing geochemical characteristics of the two interpreted plateaux and a minor age difference, 91.4±0.4 Ma for the Caribbean plateau and 88.9±1.2 Ma for the Gorgona suite. A third, older population of Late Jurassic to early Cretaceous is also indicated for mafic-ultramafic complexes of the earliest terranes of this realm, particularly the Romeral Terrane (Cediel et al., 2003), and are inferred to represent an older leading edge of the Caribbean oceanic plateau (Kennan and Pindell, 2009). Romeral Terrane of Cediel et al. (2003), which abuts the Central Continental Sub-plate and comprises late Jurassic to early Cretaceous mafic-ultramafic complexes, ophiolite sequences and oceanic sedimentary rocks, that obliquely approached from the SW and collided with South America between ~132 and 125 Ma along the dextral suture represented by the >1000 km long Romeral-Peltetec-Huancabamba fault system (Cediel et al., 2003). This fault zone extends southward from northern Colombia, through Ecuador into northern Peru where it swings to the SSE, following the Andean trend. It has been interpreted to represent a broadly east dipping, upward branching flower structure from which subsidiary faults radiate and diverge towards the surface (e.g., the Palestina Fault; Cediel et al., 2003; Mantilla-Pimiento, 2007 and sources cited therein). This fault complex forms the eastern margin of the Romeral Terrane, from northern Colombia to SW Ecuador, where the terrane swings to the west to diverge from the fault and trends SW into the Gulf of Guayaquil. All tectonic and geologic elements within the terrane are highly deformed and fragmented, particularly those flanking the broad Romeral-Peltetec-Huancabamba fault, which is considered to be a mélange system (Cediel et al., 2003; Mantilla-Pimiento, 2007). This mélange contains slivers of sheared Triassic granitoid (227 Ma; Noble et al., 1997), sheared Palaeozoic sedimentary rocks and schists of the Cajamarca-Valdivia-Loja Terrane, and the Jurassic to Cretaceous metavolcanic rocks (~160 Ma) of the Romeral Terrane, but shows no indication of granitoid intrusion (Kennan and Pindell, 2009). Kennan and Pindell (2009) refer to the same package as their Terrane 3, divided into an eastern part, comprising their Early Cretaceous Quebradagrande Complex meta-tuffs, pillow basalts and volcaniclastic sedimentary rocks, with an inferred tholeitic to andesitic island arc to back-arc origin, containing fauna ranging from earliest Cretaceous Berriasian to mid-Cretaeous Aptian, i.e., ~145 to 113 Ma. In the west of the terrane, their Arquia Complex predominantly includes graphitic schists, garnet schists and amphibolites, derived from protoliths of mixed Neoproterozoic to Late Palaeozoic continental origin and Mesozoic mafic to ultramafic lithologies. Both packages underwent Barrovian metamorphism no earlier than the Aptian (McCourt et al., 1984), with both K/Ar and 40Ar/39Ar ages suggesting onset of cooling between 120 and 100 Ma (Maya-Sánchez, 2001; Maya-Sánchez and Vasquez-Arroyave, 2001; Vinasco-Vallejo, 2003). The oldest of these plateau ages range from 115 to 102 Ma in the west and 100 to 90 Ma in the east. Most ages are typically less than 95 to 90 Ma and often as young as late Cretaceous or Cenozoic, suggesting a protracted deformation and exhumation event starting at around Albian (~113 to 100.5 Ma) time (Kennan and Pindell, 2009 and sources cited therein). Also present within this terrane are numerous, separate and laterally discontinuous, tectonically interleaved packages of HP/LT rocks, including blueschists and eclogites, interspersed with both volcanic and continental (Palaeozoic schist) protoliths. The same rocks form larger massifs isolated along the eastern margin of the terrane and, as do other rocks in the complex, dipping steeply east to vertical. These rocks include many derived from mafic protoliths of possible Early Cretaceous age, which appear to have reached peak metamorphism not later than Aptian time (Kennan and Pindell, 2009 and sources cited therein). Kennan and Pindell (2009) interpret the rocks of this terrane to represent the leading edge of the approaching Caribbean oceanic plateau, with attached sheared and accreted fragments of the precursor Trans-American Arc and its successor Caribbean Arc. They suggest the protoliths of the interleaved HP/LT rocks might have formed in a back-arc basin (the Colombian Marginal Seaway) floored by oceanic crust, separating two blocks formed on Palaeozoic continental crust. These were the arc system to the west (the Arquia Complex) and the continental passive margin of the Cajamarca-Valdivia-Loja Terrane to the east (the Quebradagrande Complex). The Caribbean oceanic plateau and attached leading edge Arquia Complex arc approached the continental margin during the Late Cretaceous, in the wake of microcontinetal blocks now amalgamated into the Mexican section of North America, that had been rifted from the same margin ~25 m.y. earlier. During this approach, the Colombian Marginal Seaway was consumed. Following collision, the Caribbean Plate began to subduct to the east, reusing the pre-existing east-dipping subduction zone beneath the Quebradagrande and Arquia complexes, leading to intrusion of the Antioquia Batholith and the onset of exhumation. Dagua-Piñón Terrane. The Dagua Terrane (of Cediel et al., 2003) in Colombia, is dominated by fault-bounded slivers of mid- to late-Cretaceous (Aspden and McCourt, 1986; Etayo and Rodríguez, 1985; Reynaud et al..,1999) tholeiitic mid-oceanic-ridge basalt (MORB) type basaltic rocks, associated ultramafic rocks, and thick flyschoid siliciclastic sedimentary sequences, including chert, siltstone and greywacke. This terrane is bounded to the east by the Cauca-Pujilí suture system, separating it from the Romeral Terrane. Geochemistry indicates an intra-oceanic plateau origin without subduction zone influence (Kerr et al., 1997). The Dagua terrane is correlated with the Piñón terrane of western Ecuador (CODIGEM, 1993; Litherland et al., 1994) with a doubtful 123 Ma K/Ar age for Piñón Terrane basalts (Reynaud et al..,1999) and more precise ~90 Ma (Vallejo, 2007). The Piñón terrane is also overlain by oceanic island-arc-like tholeiitic to calc-alkaline volcanic rocks on its western margin, which are dissimilar to the typical Dagua terrane basalts, and in part have an Eocene to Oligocene age. 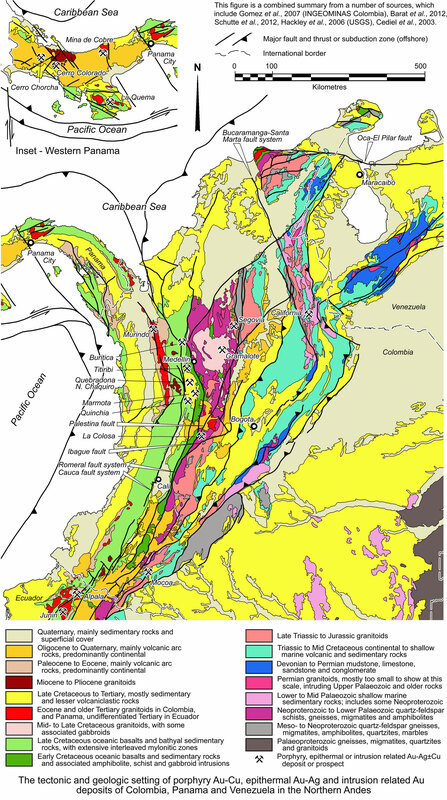 The paucity of other continental magmatic arc development in this terrane in Ecuador and southern Colombia and the dominantly dextral component of the Cauca-Pujilí suture, imply an approach and docking from the SW.
Further north, in north central Colombia, the rocks of the Cajamarca-Valdivia terrane are intruded by the significant metaluminous (I-type), polyphase calc-alkaline Antioquia Batholith from 90 to 58 Ma, but predominantly ~70 Ma age (Maya, 1992) in the late Cretaceous, temporally overlapping the arc volcanic rocks of the western Piñón Terrane. Additional calc-alkaline magmatism extending into the late Paleocene and Eocene is observed in other batholiths a little to the south (e.g., the Manizales and El Hatillo Plutons and the El Bosque Batholith). The similar ~86 Ma Pujili granite is found to the south in Ecuador (Vallejo et al., 2006). In the Western Cordillera of Colombia, the dominant structural trend is west vergent thrusting, which interleaves volcanic and sedimentary rocks, overprinted by dextral transpressive shear. These structures are cross-cut by numerous, small, latest Maastrichtian to Early Eocene plutons which post-date accretion of the Caribbean basalts (e.g. González 2002), as both the Caribbean rocks (including fragments of the Caribbean Arc) and South American Plate rocks are intruded by suites of identical plutons (Kennan and Pindell, 2009). Associated continental magmatism was abruptly terminated in the region at ~49 Ma, implying the terrane had been accreted by then (Cediel et al., 2003). The basement oceanic basalts of the Dagua-Piñón Terrane are taken to represent a detached and accreted sliver of the Caribbean oceanic plateau (Kennan and Pindell, 2009). Gorgona Terrane of Cediel et al. (2003), the westernmost of the Pacific Assemblage, which is separated from the Dagua-Piñón Terrane by the Buenaventura Fault zone is mostly offshore, and appears to represent an accreted oceanic plateau sliver, comprising Late Cretaceous massive basaltic flows, pillow lavas, komatiitic lava flows, and a peridotite-gabbro complex (Cediel et al., 2003). Komatiites on Gorgona Island have been dated by Re/Os at 89.2±5.2 Ma (Walker et al.,1999), and are taken to represent part of the proposed Gorgona oceanic plateau (Kerr and Tarney, 2005). Approach and docking appear to be recorded by the middle Eocene to Oligocene Macuchi island-arc volcanism on the eastern margin of this and the neighbouring Piñón Terrane in Ecuador. Continued 44 to 13 Ma calc-alkaline magmatism, migrating eastward from the Dagua-Piñón into the Romeral terrane between ~20 and 17 Ma, has been attributed to shallow subduction related to the approach of this terrane. Middle Miocene uplift in the Central Continental Sub-plate is also attributed to the Gorgona Terrane docking. The Gorgona Terrane is bounded to the west by the Chile-Peru trench where it is overriding the eastward subducting Miocene aged Nazca oceanic plate. To the NW, it is separated from the Chocó Arc by the Garrapatas Fault zone. ii). Caribbean Terranes of Cediel et al. (2003), which occur to the north and east of the Pacific Assemblage and Chocó Arc of the Pacific coast, and are bounded to the NW by the Caribbean Plate, to the east by the Central Continental Sub-plate and the north by the Guajira-Falcon Terrane. They comprise the San Jacinto and Sinú terranes to the east and west respectively. Both are allochthonous. The San Jacinto Terrane comprises a complex of Upper Cretaceous to Paleocene basalts and ocean-floor sedimentary rocks, with the oldest exposed being late Cretaceous cherts and siliceous mudstones and Paleocene to middle Eocene turbidites (Duque-Caro,1979). Palaeomagnetic (Brock and Duque-Caro, 2004) and geochemical data (Kerr et al., 1996) imply an origin to the SW of its current position, as well as a petrochemical association with the tholeiitic MORB-type basalts of the Pacific Dagua-Piñón terrane. Continental Paleocene to Eocene turbiditic sequences and a middle Eocene erosional unconformity suggests the pre-Oligocene accretion of the San Jacinto terrane to the South American Plate along the Romeral North or San Jacinto Fault System. Accretion of the Sinú Terrane onto the western San Jacinto Terrane took place since Miocene time. It represents a 500 x 125 km accretionary wedge lying between the Caribbean Plate and the San Jacinto Fold Belt, and is characterised by narrow steep anticlines separated by broad synclines. Accretion of the Sinú terrane onto the San Jacinto took place since the Miocene (Mantilla-Pimiento, 2007). Kennan and Pindell (2009) imply these terranes are the northern extension of the Dagua and Gorgona terranes. iii). Guajira-Falcon and Caribbean Mountain terranes are not geographically part of the Western Tectonic Realm. They are found to the east, along the Caribbean Coast, sandwiched between the Caribbean Plate to the north and the Maracaibo Subplate and Guiana Shield to the south, and appear to represent tectonically translated segments of the Western Tectonic Realm. There are marked similarities in protolith age, lithology and tectonic history between the Caribbean Mountain terrane and the Romeral mélange. In conjunction with other observation, it has been interpreted that the Guajira-Falcon and Caribbean Mountain terranes initially underwent collision, accretion and metamorphism on the west coast of South America at ~100 Ma. This was followed by uplift in the Cretaceous, detachment during the Albian (late Lower Cretaceous) and dominantly passive dextral transport to the north and east along major strike-slip structures on the northwestern and northern margins of the Central Continental Sub-plate and Maracaibo Sub-plate respectively, including the Romeral-Peltetec, San Jacinto and the east-west Oca-El Pilar fault systems, to be translated to their present position. The composite Guajira-Falcon terrane comprises a suite of generally east-west trending fragments/thrust slices/nappes of Proterozoic to Palaeozoic orthogneiss, Palaeozoic orthogeneiss, paragneiss and schists, Jurassic sedimentary sequences, Late Jurassic to Early Cretaceous HP-LT MORB ophiolitic units, Cretaceous oceanic crust, subcontinental mantle peridotites, layered gabbros and dolerite dykes, Late Cretaceous to Paleocene terrigenous flysch sequences, Tertiary siliciclastic deposits (Giunta et al., 2003). This melánge was assembled during the eastward transport of the Caribbean Plate from the Pacific margin to its current position, with the translation evidenced by the diverse assemblage of slivers of different sequences encountered en route. The Caribbean Mountain Terrane represents a part of the Guajira-Falcon terrane that was decoupled and obducted onto the Guiana Shield during the Eocene (Cediel et al., 2003). Cenozoic Magmatism in the Central Continental Sub-plate and Western Realm - A number of pulses of magmatism are recorded in the northern Andes, from the latest Cretaceous to the present. In general, these can be divided into two main series, i). from Paleocene to mid-Miocene, which coincide with the approach and progressive docking of the Dagua-Piñón (by 49 Ma) and Gorgona (by 17 Ma) terranes onto the western margin of South America; and ii). Late Miocene to Pliocene, which overlaps the approach and docking of the Panama Microplate between 12.8 and 7.1 Ma. Subsequently, convergence between the Nazca and South American plates was concentrated on subduction below the current Chile-Peru trench. To the south, in northern Peru and southern Ecuador, a corridor of Paleocene to mid-Miocene volcano-sedimentary rocks and associated Tertiary intrusions predominate, overlapping Late Miocene to Recent volcanic sequences and intrusions in central Ecuador, which become dominant in southern and central Colombia. In northern Peru to central Ecuador, the Paleocene to mid-Miocene volcanic arc rocks are preserved over a width of up to ~120 km, lapping well onto the Cajamarca-Valdivia-Loja and Dagua-Piñón terranes to the east and west respectively. In northern Ecuador and southern Colombia, this older suite is developed over a narrower width, largely restricted to the Dagua-Piñón terrane, and may have been, at least in part, developed on that terrane prior to collision. Further north, late Cretaceous to Eocene arc rocks and batholithic intrusions (e.g., the ~53 Ma Mandé-Acandí magmatic arc, as described below) are well developed over the Panama Microplate, deposited prior to collision with South America. During the Late Miocene to Recent, the focus of magmatism shifted inland, as recorded by a series of stocks emplaced within a broad, 40 to 60 km wide zone, centred on the Inter-Andean Depression/Graben between the Cauca-Pujilí and Romeral-Peltetec-Huancabamba fault complexes to the west and east respectively. This depression separates the Cordillera Occidental (Western) and Cordillera Real (Eastern) from southern Ecuador to northern Colombia, and is filled by a thick, Late Pliocene to Recent volcanic sequence, dominated by lavas and pyroclastic rocks of andesitic, dacitic and lesser basaltic composition that mask many of the coeval intrusions. In southern Colombia, the two main cordillera split into three, the Western, Central and Eastern Cordillera which collectively constitute the northward diverging Colombian Andes. The Central and Western Cordillera are on opposite sides of the Cauca-Patia or Inter-Andean Graben/Depression that is a continuation from Ecuador. The Central and Eastern of these cordillera are separated by the broad Magdalena River Valley. In Colombia, while the Late Miocene to Recent magmatic arc is largely restricted to the Dagua-Piñón terrane, the younger Late Miocene to Pliocene volcanic sequences and intrusions are found in both the Inter-Andean Depression and the western margin of the Magdalena River Valley. These sequences include porphyritic andesites, andesitic lavas and ignimbrites, ash and lapilli tuffs with intercalated andesitic lavas and epiclastic rocks containing lithic fragments of andesites and dacites, and variable intercalated agglomerates, breccias, conglomerates, mudstones and sandstones. Younger sedimentary rocks derived from both the volcanic sequence and neighbouring cordillera overlie the volcanic successions. Numerous, relatively small coeval intrusions of monzonite to tonalite, diorite, quartz-diorite, granodiorite, dacite and andesite are coextensive with these volcanic sequences and adjacent basement. They vary from small batholiths up to 30 km across, through small intrusions that are 1 to 5 km in diameter to small plugs and dykes. The Late Miocene to Pliocene volcanic sequences and intrusions of the Inter-Andean Depression overlap onto the Paleocene to mid-Miocene magmatic arc rocks of the Dagua-Piñón terrane and Panama Microplate, which had by then been accreted to the South America Plate. The Inter-Andean Depression is also characterised by Pliocene to Recent Andean-type volcanism, which includes a ~1000 km long chain of stratovolcanic cones, developed over a width of 80 to 120 km. This belt straddles the western margin of the Central Continental Sub-plate and Romeral Terrane from central Colombia, to south-central Ecuador, where it extends across the narrow Loja terrane, from the Romeral Terrane of the Western Tectonic Realm onto the Guiana Shield. This volcanism, which was also in part responsible for the younger volcanic successions detailed above is the key manifestation of significant subduction processes in the entire northwestern region of South America along the Chile-Peru trench. CARIBBEAN PLATE AND MARGINS. The Caribbean Plate represents a thicker than normal development of oceanic crust, interpreted to represent the remnants of an elongated oceanic plateau developed on the Farallon Plate in the vicinity of the present-day Galapagos hotspot. This plateau, the Caribbean Large Igneous Province (CLIP), was formed in the Pacific Ocean within the Farallon Plate. Northeastward movement of the Farallon Plate resulted in the plateau colliding with the Great Arc (Burke et al., 1978) or Trans-American Arc (Pindell et al., 2005, 2006; Pindell and Kennan, 2009) that extended along the Pacific margins of both the North and South American plates, and the mouth of the proto-Caribbean sea that separated them following the break-up of Pangea in Jurassic time. The oceanic plateau, due to its thickness and residual formational heat, could not be subducted, and hence 'clogged' the subduction zone. This resulted in a local polarity reversal of that subduction zone across the mouth of the proto-Caribbean sea, from east to west dipping, allowing the oceanic plateau to gradually move into the gap between the North and South American plates (e.g., Burke, 1988; Pindell and Barrett, 1990). The subduction zone on the eastern to northeastern margin of the Caribbean Plate retreated to the NE ahead of the advancing CLIP, consuming the oceanic crust of the proto-Caribbean sea, to its current position, curving from an east-west to north-south below the Greater and Lesser Antilles respectively, from the islands of Cuba in the north to Grenada in the south, defining the boundary with the Atlantic oceanic sections of the North and South American plates to the east. Greater Antilles Magmatic Arc - Initially, during the Late Cretaceous to Middle Eocene, a sliver of North American Plate rocks, detached from the end of the Mexican Peninsula, and formed the leading edge of the CLIP. This sliver, which is now represented by the islands of Cuba, Hispaniola, Puerto Rico and Jamaica, included a Lower Cretaceous primitive intra-oceanic arc and possibly some continental margin components from the tip of the Mexican Peninsula of North America. As the CLIP progressed to the ENE between North and South America, and rotated anticlockwise, WSW to SW directed oblique subduction of oceanic crust (of the Atlantic Ocean section of the North America Plate) below the northeastern Caribbean Plate boundary, produced the >2000 km long Cretaceous to Eocene Greater Antilles Magmatic Arc over the primitive arc and sliver of North American continental margin 'basement' in the islands of the Greater Antilles arc (Nagle, 1974; Kesler et al., 1975; Case and Holcombe, 1980; Pindell and Dewey, 1982; Sykes et al., 1982; Donnelly et al., 1990; Draper et al., 1994; Iturralde-Vinent, 1998; Mann, 1999). Sections of the eastern end of the arc could have originated as an island arc when off the west coast of South America, and been rafted north and east to its present location (Gray et al., 2010; Elston and Krushensky, 1983; Krushensky and Elston, 1983). The primitive arc basement of the Greater Antilles arc probably represents the submarine pre mid Cretaceous northern Andes tectonic zone that had bridged the gap between South and North America. The gap was subsequently filled by the Chortis Block and Panama Microplate in the wake of the eastward migration of the CLIP/Caribbean Plate (as discussed below). Cuba is the largest island in the arc, and since the Eocene, has been accreted to the North American Plate, while the others to the east and south have continued to migrate eastward with the Caribbean Plate. It is composed of three main domains that parellel the long axis of the island. The northern-most is essentially composed of North American passive margin sequences, commencing with Lower to Middle Jurassic siliciclastics (possibly resting on a Neoproterozoic basement), overlain by a dolomite-evaporite and carbonate-chert-shale succession of Upper Jurassic to Upper Cretaceous age, and Paleocene to Eocene flysch, olistostromes and carbonate rocks (Stanek et al., 2009; Iturralde-Vinent et al., 2016). The latter were deposited as the Caribbean Plate approached North America causing rapid uplift to the south. The northern domain is bounded to the south by a structurally overlying, south-dipping ophiolite and ophiolitic mélange complex that is exposed discontinuously for >1000 km along the northern margin of Cuba (Stanek et al., 2009). It represents Caribbean Plate oceanic crust obducted onto the North American Plate when the two collided during the latest Cretaceous to Eocene, culminating between 48 and 40 Ma. This suture zone separates the North American and Caribbean plates. The northern and ophiolite domains lie within the North Cuban Fold and Thrust belt that is located along the north coast and adjacent offshore of the island. The ophiolite domain is structurally overlain to the south by the third domain, a three stage Cretaceous island arc of calc-alkaline volcano-sedimentary and plutonic rocks. Arc-related granitoid plutons range in age from ~89 to 83 Ma and 104 to 75 Ma in west-central and east-central Cuba respectively (Hall et al., 2004; Rojas-Agramonte et al., 2011), and include tonalite, trondhjemite, granodiorite, quartz monzonite, alkaline quartz diorite, quartz diorite, quartz monzodiorite and granite (Gray et al., 2010). Related volcanic sequences include plagio-rhyolitic and basaltic to dacitic tuffs, volcanomictic sedimentary rocks, with variable interbeds of limestones, marl and polymictic conglomerates (Stanek et al., 2009). The Cretaceous calc-alkaline magmatic arc apparently overlies a sequence of Lower Cretaceous island arc tholeiite metamorphosed gabbros, basalts, basaltic andesites and pyroclastic rocks that were deformed and metamorphosed into the greenschist and amphibolite facies and are cut by syn-metamorphic (~93 Ma), and post-metamorphic (~89 to 83 Ma) intrusions/injections (Grafe et al., 2001; Rojas-Agramonte et al., 2011). These older rocks are exposed in a few structural windows along the south coast of the island. Calc-alkaline magmatism ceased in onshore central Cuba at ~75 Ma, and the Cretaceous arc is unconformably overlain, particularly to the south, by late Campanian to late Eocene sedimentary strata derived from the Cretaceous igneous substrate as well as intercalated carbonate rocks (Iturralde-Vinent, 2015). However, after 75 Ma, magmatism migrated southward and early Paleogene to Eocene arc activity is evident along the southern tip of the island and along the Cayman Ridge to Grand Cayman, developed immediately north of the La Corea Fault zone. Associated intermediate to felsic plutons are dated at 60.5±2.2 to 46.9±0.1 Ma (Cazañas et al., 1998; Iturralde-Vinent, 2011; Rojas-Agramonte et al., 2004, 2005). The generally WNW to NW trending island parallel domains are disrupted by a series of sinistral ENE trending faults. One of these fault zones isolates the Paleogene to Eocene arc along the southern tip of the island. Hispaniola which is located immediately to the east of Cuba, lies along the northern margin of the Caribbean Plate. The Greater Antilles Magmatic Arc rocks are exposed as a longitudinal belt following the spine of the island. They are bounded to the north by an 8 km thick Albian (109 to 100 Ma) ophiolite complex, separating the arc from a structurally underlying sequence of Mesozoic meta-sedimentary and meta-igneous rocks to the north that represent a Lower Cretaceous primitive island arc. These suites are largely masked by post-Eocene marine strata. Immediately to the south of the ophiolite belt, the magmatic arc is discordantly underlain by Mesozoic amphibolites and meta-sedimentary rocks, part of the same the submarine, earliest Cretaceous to pre-Aptian island-arc plutonism and volcanism described to the north (Mann et al., 1991). The main arc comprises post-Albian (mid-Cretaceous) to pre-Campanian island arc plutonism and volcanism, also mainly in a submarine environment. This magmatism was interrupted by Campanian (Late Cretaceous) deformation before post-Campanian to pre-middle Eocene renewal of island arc plutonism and volcanism, again mainly in a submarine environment (Mann et al., 1991). The arc intrusives and volcanic rocks are similar to those in Cuba. Much of the remainder of the island to the south is overlain by post-Eocene marine strata, with fault dislocated exposures of Cretaceous volcanic arc rocks along the peninsula to the SW.
Puerto Rico is located to the east of Hispaniola. Greater Antilles Magmatic Arc rocks occupy much of the island, south of a narrow strip of post-Eocene marine strata cover along the north coast. The arc is underlain by early Cretaceous flows, breccias and tuffs of partly marine origin. The main arc is composed of Cretaceous volcanic and intrusive rocks, and a younger suite of Paleocene to Eocene volcanic flows and associated pyroclastic rocks. The intrusion of the arc include quartz diorite, tonalite, quartz monzodiorite, granodiorite and granite (Gray et al., 2010), with associated coeval volcanic rocks that are mainly composed of basalt, basaltic andesite and andesite (Kesler et al., 1975). Virgin Islands, a cluster of small islands to the east of Puerto Rico, expose the Eocene Virgin Islands batholith and Upper Cretaceous to lower Tertiary volcanic rocks (Rankin, 2002; Schrecengost et al., 2008). Intrusive rocks include diorite, tonalite, hornblende granodiorite, trondhjemite, with dykes and small plugs of quartz-andesine porphyry and andesine-hornblende porphyry. The >2502 Virgin Islands batholith is composed of a heterogeneous series of plutons emplaced over a 13 m.y. period from 43.5 Ma. Jamaica occurs at major restraining bend/jog on the fault that forms the southern margin of the Cayman Trough. A series of Cretaceous to Paleocene inliers are scattered along the axis of the island, overlain by Paleocene to Miocene sedimentary rocks, mainly limestones, which cover >70% of the surface of Jamaica. The Central Inlier is dominated by Early to Mid Cretaceous volcanic rocks overlain by Late Cretaceous (pre-late Maastrichtian) carbonate rocks. The Cretaceous rocks have been deformed into well developed east-west anticlinal structures modified by local rifting and NNW trending block faulting (Brewster, 1991). The Middle Cretaceous volcanic and sedimentary rocks are dominated by a sequence of basaltic to andesitic volcaniclastics, breccias, conglomerates, sandstone and porphyritic lavas, which are overlain by shallow water limestones, shales. All of these rocks are intruded by a suite of intrusive dykes, sills, and stocks of diorite, granodiorite, and tonalite composition, which have been dated at the Bellas Gate porphyry occurrence at 83 Ma (Barrie, 2015). Eocene collision - During the Eocene, collision with the Bahama Platform, the leading edge of the North America continent south of Florida, resulted in changes in the relative plate motions and the cessation of subduction and volcanism in the Greater Antilles Arc. As a consequence, the northern margin of the Caribbean Plate migrated southwards to become a complex dextral transform plate boundary occupied by the Cayman Trough (Bowin, 1975; Pindell and Dewey, 1982; Sykes et al., 1982; Mann and Burke, 1984). Cuba is separated from the Cayman Trough by a remnant of the northern CLIP that forms the floor to the Yucatan Basin. Lesser Antilles island arc - The change in direction of transport of the Caribbean Plate from NE to the east resulted in the westward subduction of the Atlantic oceanic sections of the North and South American plates below the CLIP and the formation of the composite Lesser Antilles island arc. The North and South American plates are separated by a major WNW-ESE transform opposite Dominica. The Lesser Antilles chain of islands comprises a composite of an 'older' (Eocene-Oligocene; 30 to 28 Ma; Andreieff et al., 1988) and a 'recent' (Miocene and younger; active since 22 to 19 Ma; Andreieff et al., 1988) volcanic arc, which continues to the present as active stratovolcanoes. The axis of the 'older' arc lies ~25 to 50 km east of the 'recent' arc. Volcanic rocks in the Lesser Antilles arc include dominantly andesitic low- and medium-potassium calc-alkaline series rocks, as well as arc tholeiites and basalts (Bouysse et al., 1990). Remnants of an older Mesozoic 'proto-arc' are locally evident, including rocks dated at 130 to 120 Ma which crop out on La Desirade as Mesozoic basement (Bouysse et al., 1983, 1985, 1988; Westercamp et al., 1985). These probably represent the primitive arc on the leading edge of the Caribbean Plate as seen in the Greater Antilles arc. The main section of the Caribbean Plate generally comprises a relatively undeformed central portion (Colombia and Venezuela basins, separated by the Beata Ridge) composed of thick oceanic crust (8 to 20 km: Edgar et al., 1971; Case et al., 1990) overlain by flat-lying sedimentary rocks (Bowland and Rosencrantz, 1988). To the east, the north-south Aves Ridge forms the eastern margin of the Venezuela Basin and separates it from a smaller basin bounded to the east by the Lesser Antilles Arc. To the north, the current Caribbean Plate is bounded by the major ENE-WSW transform complex that define the Cayman Trough, extending from Cuba to, and across the Yucatan Peninsula to the Pacific Ocean, separating it from the North American Plate. This structure merges with the east dipping Central American Trench subduction zone to the west. It is reflected by the Montagua and La Corea fault mélanges in Guatamela and southern Cuba respectively. To the east, it becomes a thrust zone, accommodating SSW vergent overthrusting by Hispaniola and Puerto Rico. To the south, the Caribbean Plate is being obliquely thrust below the complex melánge that is the Guajira-Falcon Terrane (described above), which separates it from the Guiana Shield-Maracaibo Sub-plate. To the WSW, the Caribbean Plate is bounded by, and is being thrust below, the Panama Microplate, which is floored by a detached basement sliver of Caribbean Plate oceanic plateau crust. The Panama Microplate forms a bridge between North and South America and separates the Caribbean Plate from the Cocos and Nazca Plates of the north and south Pacific respectively. During its passage between the two American plates, other slivers of the Caribbean Plate were detached to become the floor to terranes now attached to the South and North America plates. Chortis Block - The northwestern section of the Caribbean Plate comprises the Chortis Block, a composite terrane, composed of Proterozoic and Palaeozoic crystalline continental crust and Jurassic to Early Cretaceous intraoceanic island-arc rocks, in what is now Nicaragua and northwestern Costa Rica. The Late Cretaceous to Tertiary igneous rocks are a combination of accreted island arc rocks and continental-margin arc rocks, mainly diorite and tonalite plutons (Donnelly et al., 1990; Sundblad et al., 1991) and basaltic and andesitic volcanic rocks (McBirney and Williams, 1965; Weyl, 1980; Instituto Nicaragüense de Estudios Territoriales, 1995; Arengi and Hodgson, 2000). This block is interpreted to have formed on the southwestern margin of Mexico (part of the North American Plate), where it was initially affected by oblique subduction of the Farallon Plate (Donnelly et al., 1990; Sundblad et al., 1991). It was subsequently detached during the break-up of Pangea, and then displaced by >1000 km, along a NW to east-west trending, curvilinear (concave to the north) sinistral strike-slip fault, the Montagua Fault Zone (James, in Bundschuh and Alvarado, 2007). The displacement of this block followed Cuba (as described above) accompanying the eastward migration of the CLIP and represents a sliver shaved from the southern margin of the North American plate. By the Eocene to Miocene, the Chortis Block was accreted on the southern to southeastern tip of the Mexican peninsula (Mann et al., 2007). It is bounded to the SW by the Panama Microplate, to the SE by thick, oceanic plateau basalts of the CLIP (Coates et al., 2004). To the ENE it passes into the Nicaraguan Rise, which is a continuation of the Mesozoic and younger rocks exposed over the Chortis Block. The crest of the rise is marked by the island of Jamaica and a broad, ~250 km wide, shallow water platform with numerous islets and shallow banks, mostly composed of Cenozoic carbonate rocks. The rise drops off rapidly into the Cayman trough to the north, whilst to the SE, it has a regular gradient over ~200 km, before a steeper decline across the probable fault controlled Hess Escarpment into the Colombia Basin (e.g., Arden, 1975). Basement in Jamaica comprises Cretaceous to Paleocene igneous (including andesite, pyroclastics, lesser dacite and basalt and 85 Ma granodiorite, quartz monzodiorite, and tonalite), metamorphic rocks (peak at 60 to 50 Ma) and clastic sedimentary rocks. These rocks are interpreted to belong to the Greater Antilles Arc developed on a basement of the CLIP (Abbott et al, 2013). Both the northern (Guatemalan Motagua Belt and Greater Antilles) and southern (Northern Venezuelan Cordilleras) margins are affected by active strike-slip tectonics characterised by east-west to ENE-WSW trending shear zones dismembering narrow orogenic belts, as well as by suture zones generated during a Cretaceous to early Tertiary convergent tectonic phase. The oceanic crust of the Caribbean Plate and the other terranes floored by rocks attributed to the CLIP, were formed between 139 and 69 (mainly from 95 to 88) Ma (Coates et al., 2004; Hoernle et al., 2004; Hradecky, 2011). Those that underlie the eastern half of the Caribbean Sea are dated at 88 to 74 Ma, whilst on the Pacific coast of South America are from 98 to 64 Ma, and those on the Panama Microplate are dated at 98 to 71 Ma. In Costa Rica, on the SW margin of the Chortis Block, there are three populations, 139 to 133, 119 to 110 and 95 to 74 Ma (Serrano et al., 2011), taken to represent the leading edge of the thick CLIP that froze the early subduction zone on the margin of the North American Plate during the initial collision. PANAMA MICROPLATE, the basement of which represents the detached trailing edge of the Caribbean Plate. It has a general 'S-shape' with dimensions of ~900 x 300 km, extending from the coast of northwestern Colombia, where it comprises the NNE to north-south trending Chocó Arc, to curve westward into Panama, and then swing northward into Costa Rica and southern Nicaragua. However, Kennan and Pindell (2009) argue that the Dagua-Piñón and Gorgona terranes of the 'Western Tectonic Realm' and their local ~Eocene volcanic cover were part of a larger 'Greater Panama Microplate', all of which is floored by Caribbean oceanic plateau rocks, and these terranes were "clipped off" from their underlying lithosphere, and "left behind", accreted to the Northern Andes. The Panama Microplate is a tectonically active area bounded by four separate lithospheric plates. To the SE, the boundary/suture between the South America Plate and Panama Microplate corresponds to the ENE vergent Dabeiba thrust structure that defines the eastern margin of the Cañas Gordas Terrane, curving SW to become the Garrapatas Fault zone that separates it from the Gorgona Terrane. To the NE, the Caribbean oceanic plate has been partially underthrust to the WSW below the Panama Microplate, with associated north vergent thrust faulting accommodating the convergence. This latter zone of thrust imbrication swings to the west, to become a high-angle strike-slip fault that coalesces with the Hess Escarpment structure to cross the isthmus to the Pacific coast and merge with the currently subducting Central American Trench on the SW coast of the North American Plate. To the south, the Panama microplate is bounded by the two contiguous Cocos (North Pacific) and Nazca (South Pacific) oceanic plates to the west and east respectively, which formed from the split of the Farallon Plate in the early Miocene. These two oceanic plates are separated by a north-south transform immediately to the south of their triple junction with the NW-SE boundary between the Cocos and Panama plates, and the overall east-west boundary between the Nazca and Panama plates. The triple junction is immediately to the south of the Panama-Costa Rica border. The north-south oceanic transform accommodates the dextral differential movement between the two oceanic plates, and intersects an east-west aligned mid-ocean ridge between the same two oceanic plates 500 km to the south. The Cocos Plate in the west, has been obliquely subducted northeastward below the western half of the Panama Microplate the northwestern Caribbean Plate and North American Plate. The Nazca Plate is separated from the Panama Plate by the east-west sinistral transform fault, known as the 'South Panama Deformed Zone', as it moves eastward parallel to this fault, to be subducted below the southeastern part of the Panama Microplate and the South American Plate along the west coast of the latter (Kellogg and Vega, 1995; Kents, 1975; Clark et al., 1977). The Caribbean Plate, Panama Microplate and Nazca-Cocos plates are all moving to the east to NE, but at different rates and in varying relative directions, with the Nazca-Cocos plates being the fastest, subducting below the Panama Microplate. The Nazca and Cocos plates are composed of Miocene and younger oceanic crust (as distinct from the older thick plateau basalts of the Caribbean Plate). However, two oceanic crustal ridges in these two plates have influenced subduction rates and geometry. The first of these is the ~200 km wide, east-west elongated Carnegie Ridge seamount chain in the Nazca Plate, which extends for some 1100 km, from the trench offshore from the north-central Ecuadorian coast to the Galapagos hotspot. This ridge has contributed to minor slab shallowing, reflected by concomitant eastward frontal arc migration and arc broadening in onshore north-central Ecuador (Guillier et al., 2001; Schütte et al., 2012). The second is the 200 to 400 km wide, NE-SW elongated Cocos Ridge in the Cocos Plate, being subducted below the Panama Trench offshore of the southwestern Costa Rica coast (Coates et al., 2004). i). Chocó Arc - The Chocó Arc in NW Colombia and eastern Panama, occurs immediately to the NW of, and overrides with NE vergence, both the Pacific and Caribbean assemblages of the Western Tectonic Realm in Colombia. It comprises the Cañas Gordas and Baudó terranes to the east and west respectively, which together make up the eastern segment of the Panamá Double Arc. This double arc curves from near north-south in the east, to near east-west before being truncated by a major NNW-SSE aligned, sinsitral transform that passes through the Panama Canal Zone. - Cañas Gordas Terrane, which constitutes the curved northeastern half of the Chocó Arc. It is composed of Late Cretaceous to Early Tertiary mudstones, muddy sandstones, lithic sandstones, cherts, limestones, tuffs and agglomerates that have mostly undergone dynamic metamorphism to form broad zones of protomylonites and mylonites, interspersed with belts of tholeiitic basalt, dolerite, picrite, mafic tuffs and volcanic breccias. It is overlain along its western margin in Colombia, extending into eastern Panama, by the ~53 Ma Mandé-Acandí magmatic arc, a sequence of Eocene basalts, breccias, agglomerates and tuffs, intercalated with cherts, siltstones, calcareous mudstones and limestones. These volcanic rocks are intruded by linear batholiths of coeval Eocene granodiorites grading into quartz-diorites and quartz-monzonites batholiths, including the 200 x 20 km Mandé Batholith. These rocks are the products of volcanic-arc magmatism generated on oceanic crust of the Cañas Gordas Terrane prior to its accretion to the South American continental block. The eastern half of the terrane includes a string of smaller, isolated Miocene monzonite and tonalite intrusions within the basement oceanic sequence (Cediel et al., 2003; Gomez et al., INGEOMINAS Colombia, 2007). In north-western Colombia, the Chocó Arc is limited to the SE by the Garrapatas Fault which in combination with its extension, the Dabeiba Fault in the NE, facilitated the obduction of the Cañas Gordas Terrane over the Gorgona and Dagua, onto the Romeral Terrane during the Miocene. - Baudó Terrane - in contrast to the Cañas Gordas Terrane, the Cretaceous to Paleogene Baudó Terrane is composed of MORB affinity tholetiitic pillow basalts and interbedded pyroclastic to siliciclastic sedimentary rocks (including turbidites) and radiolarian cherts deposited at abyssal depths, taken to indicate an oceanic plateau origin, without a superimposed younger magmatic arc (Cediel et al., 2003). The Cañas Gordas and Baudó terranes are separated by the Atrato Fault System which comprises a series of east-vergent en echelon rotated thrust faults of Miocene to Pliocene age, which controlled the location of a trough that unconformably overlies both terranes and obscures the bounding faults. This trough contains an Eocene to lower Miocene arc-related sequence deposited prior to the collision between the microplate and the South American continent, directly related to the Mandé-Acandí magmatic arc of the Cañas Gordas Terrane, as described above. It comprises ~4000 m of pillow basalts, volcaniclastic rocks, and biogenic calcareous and siliceous deep-water sedimentary rocks. This sequence consists of the Eocene to Oligocene Darien Formation (up to ~1500 m of fine and medium tuff, agglomerate, chert and basalt, passing upwards into calcareous and siliceous mudstone, micritic calcarenite and volcaniclastic rocks), the Oligocene Porcona Formation (300 to 700 m of grey and black, calcareous, foraminiferal shale, limestone and glassy tuff) and the lower to middle Miocene Clarita Formation (indurated, grey-white to pale blue, thick-bedded, crystalline limestone, ranging from chalky to bioclastic, with lesser sandy and shaly intercalations and local tuffaceous intervals) (Coates et al., 2004). These pre-collisional open marine units are separated from the overlying post-collisional sequence of middle to late Miocene age by a regional 14.8 to 12.8 Ma unconformity which marks the disappearance of radiolarians, the initiation of the uplift of the isthmus of Panama, and the onset of an upward shallowing, from bathyal to inner neritic depths, of mostly coarse- to fine-grained siliciclastic sedimentary rocks and turbiditic sandstones (Coates et al., 2004). The main shallowing occurred during the 12.8 to 7.1 Ma collision of the Chocó with South America. The 3000 m thick, post-collisional sedimentary sequence is deformed as part of a complexly folded and faulted synclinorium that forms the central Chucunaque-Tuira Basin in the core of the Isthmus of Panama. A middle Late Miocene regional unconformity suggests completion of the Central American arc collision of the Baudó Terrane with South America by 7.1 Ma, with no Pliocene deposits recorded from the isthmus of Panama, and no sedimentary rocks younger than 4.8 Ma in the Atrato Basin of Colombia, suggesting rapid uplift and extensive emergence of the Central American isthmus by the latest Miocene. Minor basalts and intrusions are found within this sequence (Coates et al., 2004). Within Colombia, these rocks are overlain by extensive Quaternary cover. ii). Chorotega Arc - To the west of the NNW-SSE aligned structure that truncates the Chocó Arc in the Panama Canal Zone, the arc rocks change in character and age and are known as the Chorotega Arc in western Panama and Costa Rica where they are still developed over oceanic rocks of the Panama Microplate. To the NW, across the major east-west Hess Escarpment structure, the Chorotega Arc is juxtaposed against the equivalent Cocos Arc (see description below) deposited on continental basement of the Chortis Block (see the Caribbean Plate description above). Like the Chocó Arc, the Chorotega Arc has a basement that represents the trailing edge of the CLIP. In contrast, however, these oceanic plateau rocks are only exposed along the southern margin of the arc, on peninsulas and islands that protrude south from the isthmus, e.g., the Azuero Peninsula in Panama (the first west of Panama City), and the Osa and de Nicoya peninsulas in Costa Rica. The sequence in the Azuero Peninsula commences with a basement of Cenomanian to Santonian (93 to 83; Serrano et al., 2011) Late Cretaceous basalts and pillow basalts with similar geochemical affinities to the CLIP, interpreted to be the basement to the arc sequence (e.g., Corral et al., 2011). These are overlain by rocks of an interpreted primitive volcanic arc, comprising a heterogeneous suite of tholeiitic basalts and volcaniclastic rocks, locally interbedded with late Campanian to Maastrichtian hemipelagic limestones (Buchs et al., 2010). These are, in turn, overlain by Late Cretaceous and Lower Tertiary volcanic arc rocks, comprising calc-alkaline volcano-sedimentary, volcanic and arc-related intrusive rocks (Lissinna, 2005; Wörner et al., 2009; Buchs et al., 2010, 2011; Wegner et al., 2011; Corral et al., 2011, 2013), unconformably overlain by a middle Eocene to early Miocene sedimentary sequence. An accretionary complex of Paleocene to middle Eocene seamounts, oceanic plateaux, and mélanges were accreted along the ancient subduction trench occurring as a series of peninsulas from central Panama to western Costa Rica. The remainder of the isthmus to the NE of these peninsula sequences/complexes is covered by a largely post-collisional Miocene to Pliocene magmatic arc (e.g., Buchs et al., 2010). This Miocene to Pliocene arc was developed to the NE of the the Middle America Trench which marked the south-western margin of the North American Plate (Mexico). By 20 Ma, the trench had extended southeast to subduct the Farallon Plate beneath Mexico, the Chortis Block and the southwestern margin of the CLIP (Panama Microplate) to form a continuous, NW-SE oriented volcanic arc over the southwestern margin of the three terranes. During this period, Mexico and the contiguous Chortis Block were emergent, but the arc segments developed on the CLIP margin were depth beneath deep water, comprising a bathyal submarine volcanic arc developed in a Pacific setting, distant from the continental margin of Mexico (Coates et al., 2004). Following the early Miocene split of the Farallon into the Cocos and Nazca plates and the mid- to late Miocene collision with the South American Plate, the arcs and isthmus were uplifted as described above and the Middle America Trench became continuous with that on the western margin of South America where the Nazca Plate was being subducted to the east (Kennan and Pindell, 2009). During and after this transition from pre- to post-collision, the northern half of the Chorotega Arc sequence was made up of several distinct pulses of volcanism, including Palaeocene to Eocene, mid-Oligocene, late Oligocene to early Miocene, and Pliocene to Pleistocene (de Boer et al., 1995). The older pre-collision magmatic suite (66 to 42 Ma) comprises highly deformed basalts, and basaltic andesite flow sheets with rare pillow lavas and volcaniclastic sequences which are tholeiitic and belong to the primitive volcanic arc described above (Kesler et al., 1977). The younger andesites and dacites (36 to 29 Ma) are calc-alkaline, as are the more recent rocks associated with a series of stratovolcanoes dated at 21 to 5 Ma (de Boer et al., 1998, 1991), and contain porphyry mineralisation ranging from Oligocene to Pliocene (Bennett et al., 2014). The Middle Oligocene rocks of the Chorotega Arc include the 400 km2 Petaquilla batholith, which ranges from gabbros to hornblende granites. The more northerly location of the batholith relative to the axis of the older arc suggests a flattening of subduction (de Boer et al., 1995). Miocene and younger plutonic rocks become progressively more felsic and calcalkaline, with an increase in K2O, corresponding to the evolution of the volcanic arc with time (Kesler et al., 1977). Normal arc magmatism terminated at ~5 Ma due to the collision of a series of aseismic ridges on the Cocos Plate with the developing and emergent Panama microplate (Worner et al., 2009). COCOS ARC - which is the northwestern extension of the Chorotega Arc, fringing the Middle American Trench, occurring above the NE subducting Cocos oceanic plate. It is developed along the continental margin of the Chortis Block and the Mexican Peninsula section of the continental North American Plate. Igneous rocks of the arc comprise mid-Tertiary and younger, mostly Miocene and Pliocene continental arc calc-alkaline felsic to intermediate plutons that intrude basalt, andesite, and dacite flows. The northwestern limit of the Cocos Arc is marked by a gap in arc magmatism located where the subduction trench is intersected by the Tehuantepec Ridge, a narrow transpressional, NE-SW elongated, fault related oceanic ridge that formed at ~20 to 15 Ma, ~400 km NW of the Montagua Fault. Currently active volcanoes in this same region are usually referred to as belonging to the Chiapanecan Arc and Central American Volcanic Arc (Gray et al., 2010). HUANCABAMBA DEFLECTION - This structural zone defines the southern limit of the Northern Andes and marks an abrupt change in the trend of the Andean orogen, from NNE-SSW in the Northern Andes, to NNW-SSE in Peru. It is interpreted (e.g., Klein et al., 2011) to coincide with the east-west, sinistral Amazon Megashear that extends eastward into the Amazonian Craton. An accompanying sub-parallel, generally east-west, sinistral structure, the Tumbes-Guyana Megashear, occurs ~200 km to the north. To the east, these two structures coincide with the northern margin of the Solimoes Basin, the broader western extension of the Neoproterozoic to Recent Amazon rift basin that splits the Amazonian craton. To the west, they appear to be truncated by the Cauca-Pujilí and Romeral-Peltetec-Huancabamba fault corridor that separate the allochthonous oceanic and autochthonous cratonic domains of the Northern Andes in Colombia and northern Ecuador. However, over the interval of the intersection of these structures, the Cauca-Pujilí and Romeral-Peltetec-Huancabamba fault complexes are disrupted by cross features (e.g., the WNW-ESE Piñas-Portovelo fault) and deflected (e.g., the Dolores-Guayaquil Megashear and Bulabula fault splays - see the North Andes in Ecuador record), and host a much greater density of porphyry and epithermal deposits to the SW of Guayaquil in southern Ecuador. Both of these generally east-west structures have experienced multiple reactivation events during and since the Neoproterozoic, and represent major zones of crustal weakness (Jacques, 2003). Over this same interval, the east-west splay, the Bulabula Fault, marks the southern limit of the allochthonous oceanic terranes of the Western Tectonic Realm, while to the south of the WNW-ESE Piñas-Portovelo fault, the regime to the west of the NNW-SSE structural corridor is occupied by a major back-arc basin. The latter may have been analogous to the proposed Colombian Marginal Seaway back-arc basin of Kennan and Pindell (2009) that those authors infer was subducted and closed to form the Romeral Terrane (see above). It is bounded to the north and NW by the Amotape arch that is immediately to the south of the Piñas-Portovelo fault, and to the east by the Olmos arch basement ridge that follows the main NNW-SSE structural corridor (see the Peruvian Andes record). • Choco Belt, a zone on the western slopes of the Western Cordillera, predominantly represented by placer gold deposits derived from erosion of the epithermal and porphyry related gold mineralisation in the Cañas Gordas Terrane on the western margin of the Western Cordillera. Two porphyry-style occurrences are known in this region, associated with the Eocene ~53 Ma Mandé-Acandí magmatic arc, namely Murindo/Mandé Norte and Pantanos-Pegadorcito just to the south, both of which are ~150 km NW of Medellin. At Murindo, porphyritic quartz diorite stocks are emplaced into intrusive rocks of the Mandé Batholith, controlled, at least in part by faults. Very fine grained pyrite, chalcopyrite, bornite and molybdenite occur as fissure fillings and disseminations associated with potassic and propylitic alteration, with accompanying silicification and minor phyllic zones. Hornblende from a late mineral tonalite porphyry gave an age of 54.7 Ma. Anomalous (>350 to >1000 ppm) Cu values are distributed in three zones over an area of 10 x 3 km (Henricksen, 2011). Pantanos-Pegadorcito is in a similar setting. Sericite from a mineralised and strongly sericitised dacite porphyry at the latter was dated at 42.7 Ma. A third occurrence, Acandi, is close to the Panama border and the Caribbean coast. Sericite from tonalite in the sericitised cap at Acandi gave an age of 48.1 Ma. These and other observations suggest a poorly defined belt of early Eocene porphyry style mineralisation extending from the Western Cordillera into Panama. Insufficient work has been completed on any of these occurrences to establish potential or resources (Henricksen, 2011). This mineralisation was emplaced within the Cañas Gordas Terrane prior to its accretion to the South American continental block (Cediel et al., 2003). • Middle Cauca Belt, a >300 km long, north-south aligned string of deposits, representing the northern continuation of a similar belt in Ecuador. It is characterised by porphyry Au±Ag±Cu, base metal-Au vein and epithermal gold-silver deposits, closely associated with fine-grained, porphyritic diorite and dacite stocks of Miocene age. These deposits are centred on the similarly north-south trending Cauca-Romeral Fault Complex and the related Inter-Andean Depression/Graben, and are found over a width that extends from the western Central to eastern Western Cordillera. The main deposits, from south to north, include the La Colosa deposit in the westen Central Cordillera associated with a Miocene intrusion into metamorphosed Lower Palaeozoic continental country rocks of the Cajamarca-Valdivia Terrane; the Quinchia-Miraflores and Marmota (20 km to the NE) porphyry Au-Ag-Cu and epithermal Au clusters on the eastern margin of the Western Cordillera, associated with late Miocene intrusions into Romeral Terrane mafic oceanic volcanic rocks; the Quebradona - Nuevo Chaquiro porphyry Cu-Au-Ag-Mo cluster, also on the eastern margin of the Western Cordillera, associated with late Miocene intrusions into a Miocene volcanic suite, overlying Romeral Terrane mafic oceanic volcanic rocks; the Titiribi cluster of porphyry Au-Cu and epithermal Au deposits, also on the eastern margin of the Western Cordillera, associated with late Miocene intrusions into a Miocene volcanic suite, and a tectonically interleaved mé of continental country rocks of the Cajamarca-Valdivia Terrane and oceanic mafic rocks of the Romeral Terrane; the Buritica porphyry-related, carbonate base metal gold vein/breccia system, also on the eastern margin of the Western Cordillera, and associated with a similar setting to that at Titiribi. • Antioquia and Segovia Batholiths of the Central Cordillera, that are of Late Cretaceous age, and host oxidised, pluton-related gold deposits. The >8500 km2 oval-shaped Antioquia Batholith contains the Gramalote intrusive-hosted, structurally controlled, stockwork gold-silver deposit, possibly emplaced at ~60 Ma in the Paleocene. The large north-south elongated, ~5600 km2 Segovia batholith, which is ~10 km or more wide, is east of the Antioquia Batholith. It has essentially been emplaced along the suture between the Proterozoic rocks of the Chicamocha Terrane and the Palaeozoic suites of the Cajamarca-Valdivia Terrane. Earlier literature, based on a single age dating, suggested the batholith was of Jurassic age, although the bulk of work now suggest it is Late Cretaceous. This intrusion hosts the gold veins of the Segovia (Frontina) deposits which are interpreted to represent Paleogene mineralisation. • California-Angostura District where epithermal gold mineralisation, apparently associated with Middle Miocene porphyritic bodies, is hosted within Triassic to Jurassic and Late Cretaceous intrusions and Proterozoic metamorphic rocks, within, but towards the western structural margin of, the Maracaibo Sub-plate. The main deposits are Angostura, La Bodega and La Mascota. • Jurassic Belt which is found near the Ecuador border in the south, a probable repetition of the string of Jurassic deposits on the eastern margin of the Cordillera Oriental in southern Ecuador. The latter are hosted in the elongate Jurassic Zamora Batholith near the suture between the Guyana Shield and the Central Continental Sub-plate to the east and west respectively. The main deposit of this age in Colombia is at Mocoa, located where the Eastern/Oriental and Central Cordilleras of north and central Colombia, converge to become a single morphotectonic entity, the Eastern Cordillera (or Cordillera Real) to the south in Ecuador. See the separate North Andes in Ecuador record. • Eocene mineralisation - at the Cerro Quema epithermal gold deposit, associated with a dacite dome complex within a ~55 to 49 Ma lower Eocene volcanic sequence believed to overlie a concealed porphyry-like intrusion related to the nearly 53 to 49 Ma Valle Rico batholith. • Mid-Oligocene Petaquilla Batholith - which covers an area of ~400 km2, is dated at 36.4±2 Ma, and is predominantly of granodioritic composition. This batholith hosts a cluster of significant porphyry copper deposits, collectively known as the Mina de Cobre Panama and includes Petaquilla, Botija, Colina, Valle Grande and Brazo and the associated Molejon porphyry gold deposit. • Late Miocene to Pliocene - which includes the 4.2 Ma Cerro Colorado porphyry Cu-Mo-Au deposit within the 5.9 Ma composite high-level Río Escopeta Granodiorite Pluton. The 3.6 Ma Cerro Chorcha porphyry Cu-Mo-Au deposit is associated with the same cluster of intrusions, ~35 km west of Cerro Colorado. Mineralisation is associated with a magnetite-bearing quartz stockwork (Druecker and Sandefur, 2008) within a structurally and compositionally complex granodiorite-tonalite intrusion that cuts Miocene andesite lapilli tuffs and flows. A series of northeast-striking quartz-feldspar porphyry dykes is also recognised in the deposit area. The broader host sequence includes Miocene andesitic to basaltic flows, breccias, tuffs, plugs and volcaniclastic rocks of the Cañazas Group that are intruded by Pliocene to Miocene granodioritic and monzonitic rocks of the Tabasara Group. Neither secondary potassium feldspar nor biotite has been observed, with a well developed bluish-green phyllic assemblage being the dominant alteration. The published resource estimate is 201.9 Mt @ 0.49% Cu, 0.01% Mo, 0.07 g/t Au, 1.8 g/t Ag (quoted by Gray et al., 2010). • Chortis Block - which includes suites of Late Cretaceous to Tertiary igneous rocks that define the Chortis Magmatic Zone in northeastern Honduras and northern Nicaragua. These comprise are a combination of accreted islandarc rocks and continental-margin arc rocks, mostly diorite and tonalite plutons (Donnelly et al., 1990; Sundblad et al., 1991) intruding basaltic and andesitic volcanic rocks (McBirney and Williams, 1965; Weyl, 1980; Instituto Nicaragüense de Estudios Territoriales, 1995; Arengi and Hodgson, 2000). These arcs were developed along the southwestern coast of Mexico, >1000 km to the NW their present location, over a composite terrane of Proterozoic and Palaeozoic continental crust and Jurassic to Early Cretaceous intra-oceanic island-arc rocks. No porphyry copper deposits or prospects have been identified, although there are numerous copper- and/or gold-bearing skarn, replacement, and vein occurrences known. • Cocos Arc - the northwestern extension of the Chorotega Arc, developed over Chortis Block and Mexican continental basement, in contrast to the contiguous Choretega Arc to the SE which is developed on an the oceanic Panama Microplate. No significant porphyry deposits are known within this arc, although numerous mineralised systems and prospects have been outlined. Examples include the Los Lirios (El Triunfo) porphyry Au-Cu mineralised system in Nicaragua, where late Tertiary dacitic and basaltic flows and agglomerates of the Padre Miguel Group have been intruded by a complex tonalite and andesite porphyritic stock that may be part of a larger granodiorite intrusion at depth (Maya Gold Corp., 2001). The area is capped by Quaternary basalt flows. Anomalous mineralisation occurs within an area of 1 x 0.5 km wide, hosted by a brecciated dacite dome and pyroclastic blanket with quartz-sericite-pyrite alteration. Intersections include 218 m @ 0.51 g/t Au and 0.32% Cu (Gray et al., 2010). The Siuna mineralised system, ~300 km to the NE, is developed over a NNE trending area of 12 x 1 to 2 km, enclosing an arcuate belt of limestone and calcareous sediments with interbedded andesitic volcanics. Sub-volcanic intermediate to mafic dykes and sills intrude this sequence and are related to gold skarn and associated porphyry-style mineralisation. Past production comprises 17 Mt @ 3.6 g/t Au (Gray et al., 2010). The Primavera porphyry Au-Cu deposit is hosted within volcanic and dioritic intrusive rocks similar to those at Rosita and Siuna and is accompanied by both potassic and propylitic alteration. The potassic alteration is intense, dominated by K feldspar, biotite and magnetite. The chalcopyrite±bornite mineralisation is primarily hosted by a quartz veinlet stockwork, with an overall low sulphide content. A maiden inferred resource of 44.974 Mt @ 0.54 g/t Au, 1.15 g/t Ag, 0.22% Cu has been published (Calibre Mining, December, 2016) at a cutoff of 0.5 g/t Au. The Rosita skarn copper mine, 50 km NE of Siuna and 10 km north of Primavera, produced 4.9 Mt @ 2.57% Cu, 0.03 g/t Au, 15.22 g/t Ag from the mid 1960s to the early 1980s. The country rock comprises folded and faulted carbonate sedimentary rocks of the late Cretaceous Todos Santos Formation to the east, overlain by a sequence of andesitic to basaltic volcanic rocks to the west, that have been intruded by an ~8 km diameter complex of stocks and plugs including diorite, quartz diorite, granodiorite, quartz monzonite and granite, with extensive associated garnet-epidote skarn and hydrothermal alteration. The main mineralization lies on the southern flank of a small dioritic intrusion within this complex, within an ~150 m thick skarn horizon that strikes easterly and dips at 50°. The Arimao porphyry Au-Cu deposit (also known as Santa Clara, Los Pasos and Brenas), is located in Cienfuegos Province in northwestern Cuba, hosted in Cretaceous pyroclastic volcanic country rocks that are intruded by diorite and gabbro. Published resources are 89 Mt @ 0.27% Cu, 1 g/t Au, 2 g/t Ag (Singer et al., 2008 after Joutel Resources, 1988). The ore occurs as disseminated and veinlet pyrite and chalcopyrite and a well developed quartz stockwork covering an area of 500 x 500 m. Mineralisation extends from surface to a depth of 245 m. In addition to the pyrite and chalcopyrite, the mineralised assemblage includes magnetite, bornite, sphalerite and molybdenite, oxidised near surface to azurite and malachite underlain by secondary chalcocite and covellite. Alteration includes K feldspar, silicification, chlorite and sericite. The age of the deposit is uncertain, but as post 75 Ma igneous activity is not recorded in this section of the arc, it is most likely Cretaceous. A string of other prospects are recorded within the arc, from Arimao to the southeastern tip of the island. The Blondin and Douvray porphyry Cu-Au deposits, that are to the north and <2 km to the SE respectively, in northeastern Haiti, on the island of Hispaniola. The two deposits are separated by less intensely altered and mineralised rock. Douvray outcrops along a ~200 m high NW trending ridge, hosted within tonalite to granodiorite intrusions and sills, and adjacent tuffs, flows and agglomerates. The mineralisation has a high bornite, and a low overall sulphide content. The alteration assemblage includes chlorite, sericite, epidote and quartz, while the ore minerals include chalcopyrite, bornite, enargite, chalcocite, molybdenite, covellite, tennantite, electrum and pyrite, with malachite, azurite, chrysocolla and brochantite at the surface. Gray et al. 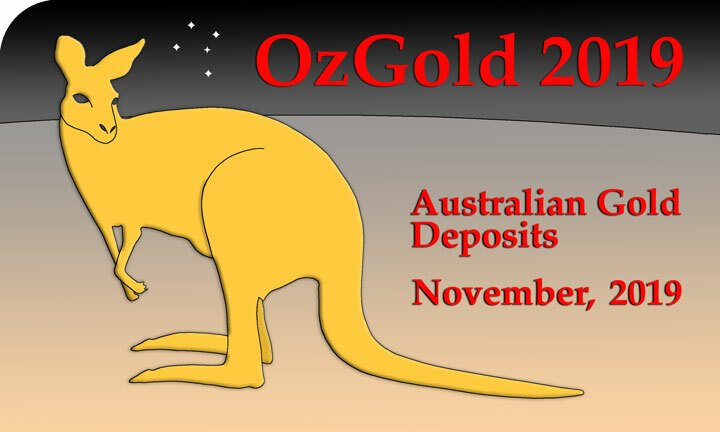 (2010) quote a combined resource of 327 Mt @ 0.44% Cu, 0.3 g/t Au. Majescor Resources (2013) estimated a combined oxide + sulphide resource at Douvray alone of 189.5 Mt @ 0.30% Cu, 0.05 g/t Au, 1.12 g/t Ag and 23.05 ppm Mo at a cut-off of 0.1% Cu (which included 10.9 Mt of oxide ore @ 0.23% Cu, 0.02 g/t Au, 5.86 g/t Ag). The age of mineralisation is uncertain. The Pueblo Veijo high-sulphidation/acid-sulphate epithermal gold deposit, located on the northern margin of the Cretaceous magmatic arc in NW Dominican Republic. Hypogene alunite from the mineralised zone has been dated at between 80 and 40 Ma, suggesting the age of mineralisation. The deposit is developed in an advanced argillic lithocap within the Lower Cretaceous primitive magmatic arc that underlies the main calc-alkaline arc and is likely related to tonalite batholiths and minor diorite plutons that intrude the host unit. The Tanamá (or Helecho) porphyry Cu-Au deposits is located ~75 km WSW of San Juan and 28 km SW of Arecibo on the west side of the Río Tanamá in western Puerto Rico. It comprises 2 deposits, separated by ~100 m of weakly altered rock. Mineralisation is associated with a cluster of three Eocene tonalite porphyry bodies, intruding a Cretaceous metavolcanic basaltic sequence and early Eocene felsic volcanic and sedimentary rocks (Cox, 1985). The Eocene intrusive and volcanic rocks represent the terminal igneous event of a long period of subduction-related volcanism and plutonism. At North Tanamá, copper mineralisation occurs in a shell accompanied by biotite-chlorite alteration, surrounding a low grade core characterised by amphibole with up to 10 vol.% magnetite in quartz veinlets and as disseminations (Cox et al., 1975; Cox, 1985). South Tanamá has a supergene chalcocite blanket (Cox, 1985). 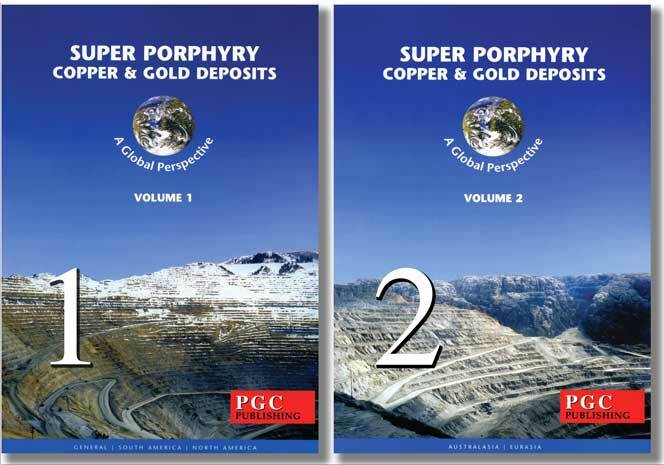 In both deposits, copper is generally confined to the tonalite porphyry and chalcopyrite is disseminated rather than vein-controlled. Copper is associated with magnetite in feldspar stable alteration and with pyrite in feldspar-destructive alteration. Potassic alteration occurs as trace amounts of potassium feldspar, biotite and anhydrite. Sericitic alteration largely overprints feldspar-stable assemblages in which quartz, chlorite, biotite, amphibole, epidote, alkali feldspar, magnetite, chalcopyrite and bornite are dominant. Mineralisation has been dated 42 Ma (Cox et al., 1975). Estimated resources total 126 Mt @ 0.64% Cu, 0.005% Mo, 0.38 g/t Au, 1.7 g/t Ag (Gray et al., 2010). The Rio Vivi porphyry Cu-Au deposits, in Peurto Rico is located ~10 km SE of Tanamá. Copper mineralisation occurs as a cluster of deposits associated with Eocene tonalite stocks that intrude Cretaceous metabasalts (Barabas, 1971, 1977), although these could represent faulted segments of a single deposit (Lutjen, 1971). Mineralisation has been dated at 41 Ma. Individual orebodies include Piedra Hueca, which has plan dimensions of 450 x 250 m and contains 33 Mt @ 0.82% Cu; Calá Abajo that covers and area of 1200 x 200 m and contains 72 Mt @ 0.82% Cu, and the small Au rich Sapo Alegre ore body (Cox et al., 1975; Bradley, 1971). The estimated combined resource is 218 Mt @ 0.73% Cu, 0.002% Mo, 0.3 g/t Au, 1 g/t Ag (Gray et al., 2010). The Bellas Gate/Connors porphyry Cu-Au prospects, in Jamaica, are a cluster of copper and gold occurrences densely distributed as a number of linear corridors within a NNW oriented envelope of ~10 x 6 km. This envelope also incorporates the similarly oriented 5 x up to 1 km Upper Cretaceous Ginger Ridge Stock (85±9 Ma: Lewis et al., 1972) of granite to granodiorite on its eastern margin, and a diverse sequence of coeval and younger small plutons, stocks and dykes with compositions ranging from gabbro/diorite to granite. The main intrusive centre is centred on a similarly NNW elongated, 4 to 8 km wide widow of mid to late Cretaceous (Santonian) volcanic rocks, surrounded by capping Eocene limestones. The Cretaceous country rock is predominantly composed of andesitic and lesser basaltic flows, breccia, pyroclastics and interbedded volcaniclastic sediments, which are commonly propylitically altered or metamorphosed to greenschist facies. These are overlain on the northern margin of the window by Santonian to late Campanian shale and limestone and then by mid to late Campanian volcanic rocks. 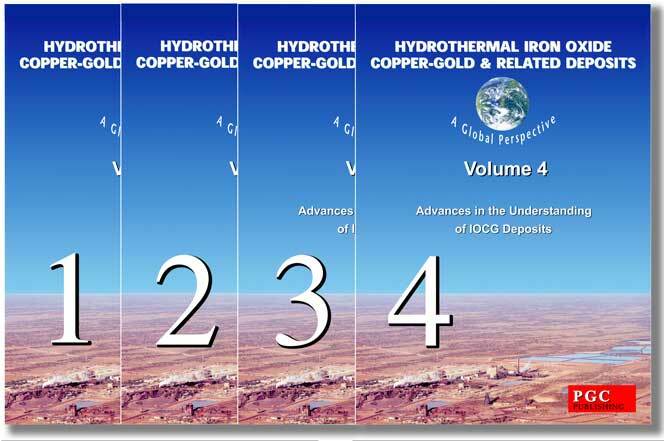 Four main types of mineralisation have been recognised: i). Disseminated sulphides, accompanied by veinlets and fracture fillings, with a high pyrite:chalcopyrite ratio. Alteration assemblages include quartz, sericite, chlorite, pyrite, overprinting biotite and rare K feldspar; ii). Quartz and/or carbonate veins or zones of stringers containing high grade copper and variable gold; iii). Replacement of calcareous sedimentary rocks by copper carbonate minerals; iv). Dyke contacts or shear zones containing disseminated primarily chalcopyrite, bornite and their oxidised products. No overall mineral resource has been estimated, although resources have been calculated for some sections of the deposit, as follows: Connors-Ginger Ridge porphyry - 3.5 Mt @ 0.5% Cu with associated Au; Camel Hill porphyry - 13.2 Mt @ 0.35% Cu, 0.17 g/t Au; Stamford Hill mine - 0.56 Mt @ 5% Cu, 4.5 g/t Au, 303 g/t Ag. • Lesser Antilles Arc - No references to significant mineralisation have been encountered. However, numerous high-sulphidation epithermal gold prospects (on Montserrat, Saint Kitts and Nevis, and Saint Lucia) and Cu-Au and Fe-Au skarns (on Guadeloupe) are associated with quartz diorite plutons (Gray et al., 2010). Porphyry-style hydrothermal alteration is reported on several of the islands of the Lesser Antilles (Beaufort et al., 1990; McKelvey, 1995). • Southern Caribbean Plate margin in Venezuela - No references to significant mineralisation have been encountered. The Las Cristinas Au-Cu deposit in eastern Venezuela, close to the border with Guyana, and 450 km south of the Caribbean Plate margin, has some porphyry characteristics, but is apparently associated with Palaeoproterozoic intrusions within the Guiana Shield. The most recent source geological information used to prepare this summary was dated: 2016. Cediel, F., Shaw, R. P. and Caceres, C., 2003 - Tectonic assembly of the Northern Andean Block: in Bartolini, C., Buffler, R. T. and Blickwede, J. (Eds. ), 2003 The Circum-Gulf of Mexico and the Caribbean: Hydrocarbon habitats, basin formation, and plate tectonics AAPG Memoir 79, pp. 815-848.